The mission is clear – ramp up security at every single Catholic school, parish, and other diocesan entities across Central Florida. 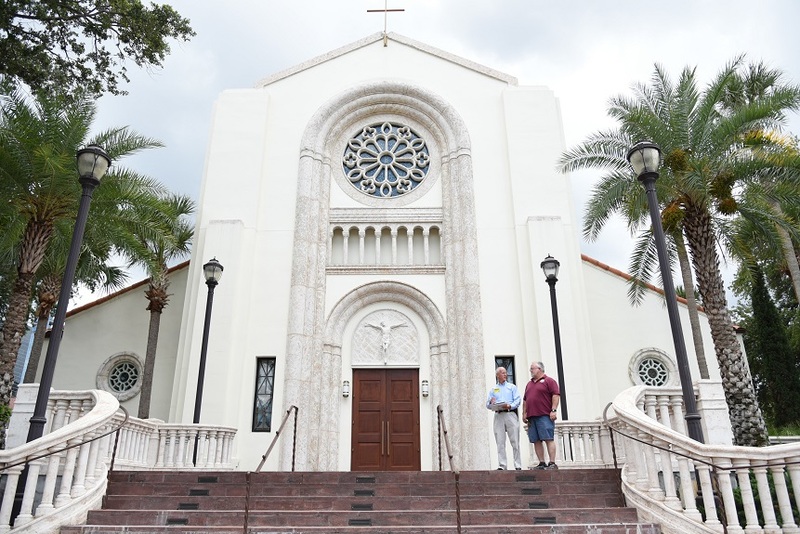 A team of experts is already on the ground in the Diocese of Orlando, completing initial assessments and will continue to do so over the next couple of years. Risk Manager for the Diocese of Orlando, Tracy Dann, began the annual meeting of pastors and principals May 2 at Sts. Peter and Paul Parish in Winter Park. She carefully laid out the plans that will roll out over the next few months. Life Safety Solutions will assess 40 schools and 36 parishes in six weeks and make recommendations for improved ways to keep both students and educators safe. “Sadly, more and more of us have stories related to shootings,” shared Dann. “None of us ever wants that story to be told again.” She revealed the diocese has been working on this process for several years, partnering with leaders across the state to form a vetting committee for school and parish security. The nationwide search led them to Life Safety Solutions. The company is already working closely with the Dioceses of Venice, Palm Beach, and Pensacola-Tallahassee. Dann went on to explain this will be a 3-year process. During this first year, Life Safety Solutions will begin with all parishes that have schools or free standing early learning centers on campus. The educational facilities and the church itself will be examined for any potential security weaknesses. While security plans will be site specific and take into consideration the uniqueness of each property, there will be minimum standards for every parish and school community. For example, all schools will have a new radio system to communicate internally and to interface with other campuses as well as the diocese in case of emergency. Every person will be required to wear color-coded lanyards so students and staff can easily determine who belongs on campus. A letter is currently being drafted to alert parents of the upcoming security changes and the rationale behind them. It is possible there will be changes in drop-off and pickup protocols for Faith Formation classes in our parishes as well.